The following information will answer all of your pressing questions concerning Maine Landlord and Tenant Law. Am I Allowed to Break my Lease? According to ME Landlord and Tenant Law, breaking a lease is not a criminal violation. The premise, according to ME landlord and tenant law, with regard to breaking one’s lease is: if you currently have a lease and not a tenancy at will, then you are not allowed, according to Maine Landlord and tenant law, to break your lease. Maine Landlord and Tenant Law view a lease as a legally binding contract. After signing a lease, you and your landlord are bound by the document’s terms as well as ME landlord and tenant law. Because of its legally-binding status, the lease serves as the written record of your rental agreement; the lease affirms the specified rent and all conditions attached to the agreement. If you fail to meet the terms of the lease, you will face steep penalties in addition to the yearly rental amount owed. 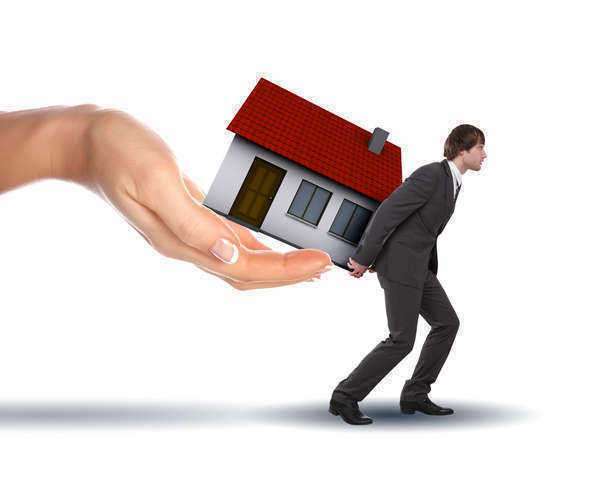 ME Landlord and Tenant Laws, to balance the powers between renter and rentee, obligates a landlord to make reasonable efforts to rent the space to another party. This requirement attempts to reduce or eliminate your liability for the rent owed for the remaining term of the contract. Even if you foreclose on the unit, Maine Landlord and Tenant Law provide you with a few options to secure your security deposit. Maine Landlord and Tenant Law proclaims that if the bank takes possession of the rental space, it cannot attempt to collect your last month’s rent or the security deposit. ME Landlord and Tenant Law mandates your landlord to transfer your security deposit to the bank that is protected from the individual’s creditors. If your landlord claims that your deposit was lost to his/her creditors, you are allowed—according to ME Landlord and Tenant Law—to sue for the deposit plus triple the damages. Moreover, if your landlord files for bankruptcy protection, you will not be able to sue him/her permission from bankruptcy court is secured. The hiring of real estate lawyers is required in this situation. ME Landlord and Tenant Law states that as long as the landlord has followed ME landlord and tenant laws regarding security deposits, the landlord may use the funds for any of the following: 1.) unpaid rent not lawfully withheld; 2.) unpaid rises in real estate taxes; and 3.) repair costs that go beyond normal wear and tear. According to Maine Landlord and Tenant Law, landlords are given thirty days from the termination of the rental agreement or from the day the tenant vacates the tenant to return the deposit or any remaining balance along with a list of damages. Maine Landlord and Tenant Law requires landlords to return security deposits within 30 days after the lease ends. If damage beyond normal wear and tear is observed, the landlord—according to Maine landlord and tenant laws--is permitted to use the security deposit to make the necessary repairs. Based on ME landlord and tenant laws, a landlord may not use the security deposit for repairs if he/she does not provide you with a ‘statement of condition’ at the beginning of the tenancy. Maine Landlord and Tenant Law requires landlords to provide you with a detailed list of the repairs and the costs associated. The statement must be signed under penalties of perjury. If the landlord does not provide you with this document, or if he/she refuses to return the deposit for whatever reason, you are required to sue the landlord to get the deposit back. Although this sounds insufferable, Maine’ housing courts are typically friendly to plaintiffs. Maine Landlord and Tenant Laws: Can the Landlord Enter my Apartment? According to ME Landlord and Tenant Law, a landlord and his/her agent may enter the rental space for several reasons, including: make repairs, inspect the space or to show the rental space to prospective renters. This portion of Maine Landlord and Tenant Law; however, requires landlords to provide the renter with reasonable notice (24 to 48 hours) and to enter only at reasonable hours (9 a.m. to 5 p.m.). According to Maine Landlord and Tenant Law, foreclosure does not automatically terminate your tenancy. Regardless of what the new owner or the bank tells you, you are not required—based on Maine Landlord and Tenant Law—to leave your apartment just because your landlord lost the property to foreclosure. If you are a formal tenant (tenant with a lease, tenant with a housing subsidy or tenant at will), the tenancy will continue after foreclosure. Subsidized tenancies and tenancies at will continue under the same terms as with their old landlord. In this situation, all leases are converted into tenancies at will, with the company or person purchasing the property at the foreclosure auction serving as the new landlord and owner. If you hold a lease for a period of time, your landlord—under Maine Landlord and Tenant Law—is not allowed to raise the rent until the lease ends. With tenancies-at-will; however, you and your landlord agree that you will remain a tenant and pay specified rent until one of you decides you wish to change the terms of the lease. In this formation, either you or the landlord will only provide notice of the intended change. Maine Landlord and Tenant Laws: Can I refuse to give my landlord permission to enter my rental space? Maine Landlord and Tenant Laws: Am I Allowed to withhold rent if there is a problem with the rental space and I have to pay for repair costs?